Bruker announces the new SKYSCANT™1273 benchtop 3D X-ray microscope based on micro-computed tomography (Micro-CT) technology. The SKYSCAN 1273 sets a new standard for non-destructive testing (NDT) with benchtop instruments, providing a performance level previously only achieved by floor standing systems.Samples with up to 500 mm length, 300 mm diameter, and a maximum weight of 20 kg can be investigated with powerful and precise positioning stages. The combination of a higher-energy X-ray source running at higher power (130 kV, 39 W) and a large format 6-megapixel flat-panel detector with ultimate sensitivity and speed provides excellent image quality in just a few seconds. 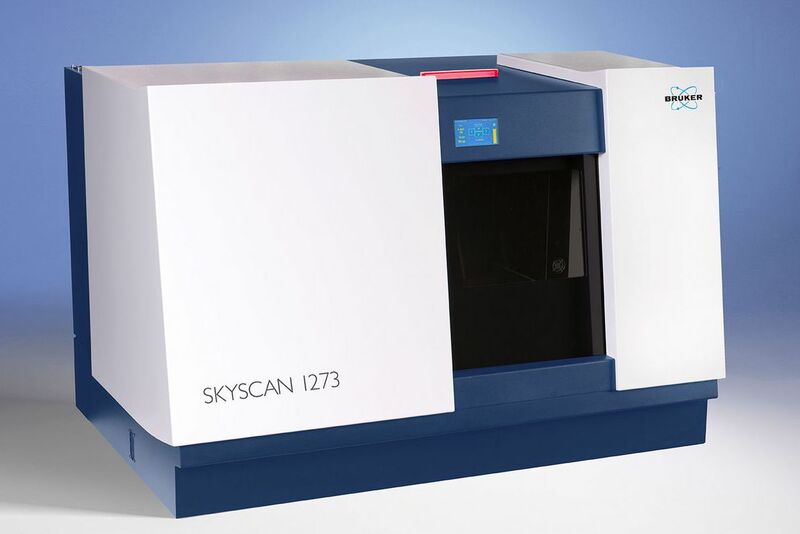 The SKYSCAN 1273 produces 3D images of internal structures with high resolution based on a voxel size smaller than 3 µm.